HSS Technique Challenge #26- WATERCOLORING!! What an amazing and FUN technique for this week! 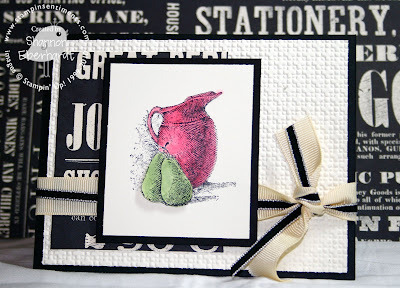 There are so many ways that you can create a watercolor look with all types of supplies. We can't wait to see what you create for this weeks challenge! We are so pleased this week to introduce another TALENTED guest designer for this weeks Watercolor Technique Challenge. 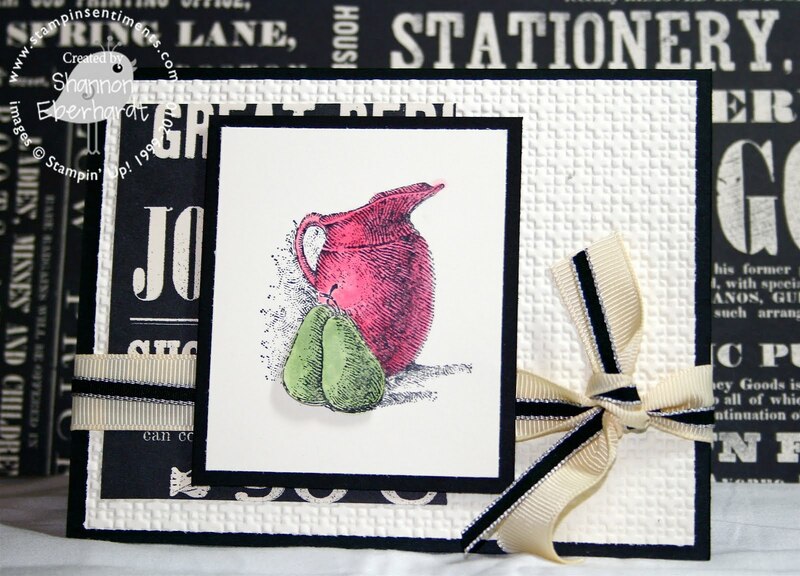 Sabriena Satchwell has created this adorable card using the Watercoloring Technique. She has married our technique challenge with additional elements like texture to create a stunning project. You can see all the details for her project and more info about her by visiting her blog Little Miss Scrapalicious. Sabriena thanks SO much! For this challenge please use KEYWORD HSSTC26 when uploading your project to public galleries. We would also greatly appreciate it if you would kindly note the HSS Challenge and provide a link back to the HSS site in your post. InLinkz will close at NOON CST on MONDAY, August 2nd. InLinkz will not allow submissions to be added once the time frame has expired. BUT meet back here on Tuesday, August 3rd for a NEW Challenge **AND** Artists' Picks announcements for the prior weeks challenges. So be sure to meet back here on Tuesday the 3rd to see if your project was an Artists' Pick!!! HSS Sketch Challenge #25 Artists' Picks!!! We are so excited to announce this weeks HSS Sketch Challenge #25 Artists' Picks!!! 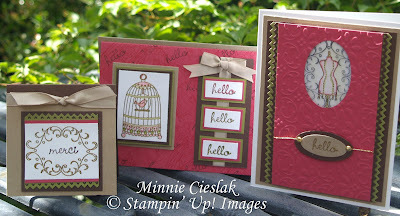 With the excitment of the Stampin' Up! Convention we are so glad that we had such amazing participants for this weeks cahllenge. A special CONGRATS goes out to these winners!!! Each TUESDAY we announce the Artists' Picks for the prior weeks challenge. 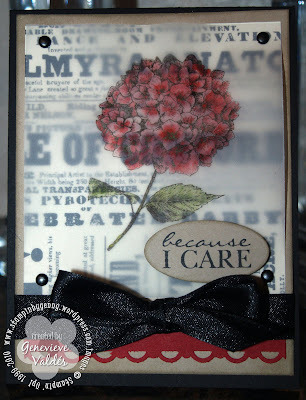 The winner recieves a special badge to display on their blog to announce that they were a Hand Stamped Sentiments Artist Pick!! If you have been named a winner simply email me at erin@handstampedstyle.com to get the HTML code for your badge. Are you ready for another exciting Sketch Challenge? Of course we are!!! We would love for you to share your interpretation of this sketch with us. 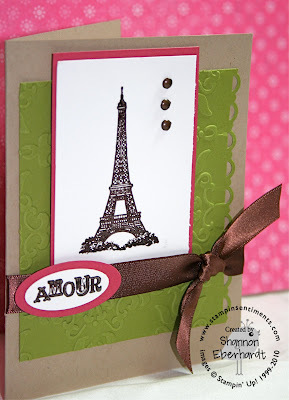 Remember, you don't have to create ONLY a card it can be a scrapbook page, MDS project, 3-D item- get creative!!! For this Challenge PLEASE use KEYWORD HSSSC25 when uploading your project to public galleries. 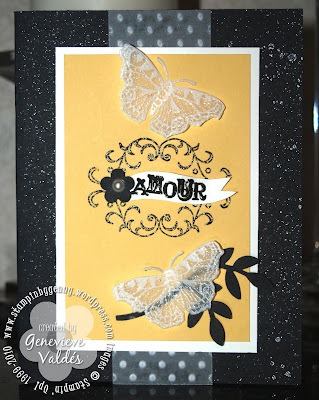 We would also greatly appreciate it if you would kindly note the HSS Challenge and provide a link back to the Hand Stamped Sentiments in your post. InLinkz will close at 12 noon CST on Monday, July 26th. Meet here on Tuesday the 27th to see the Artists Picks AND for a NEW Challenge!!!! 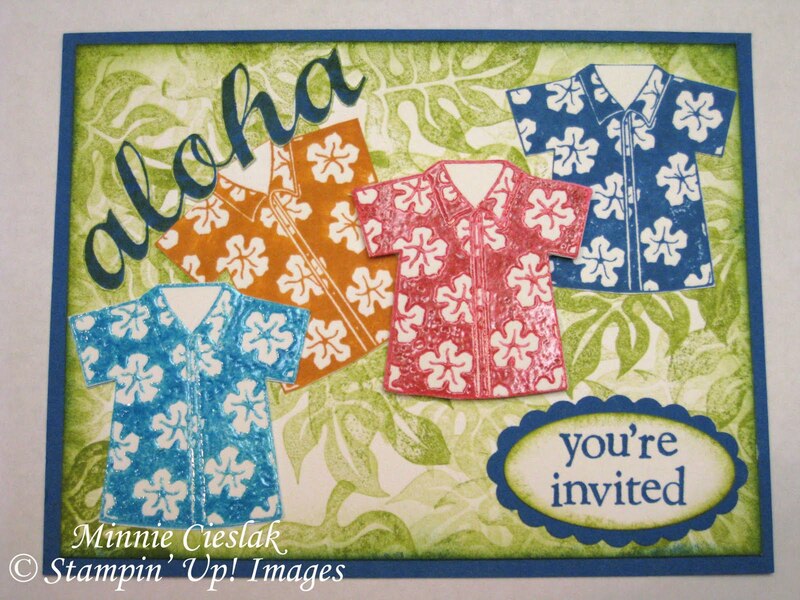 HSS Luau Theme Challenge #24 Artists Pick! With everyone getting prepared and off to Stampin' Up! 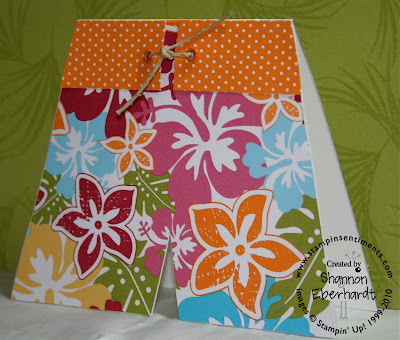 's annual Convention we were so THRILLED to get entries for the Luau Theme Challenge last week. We are pleased to award this Challenge Artists Pick award to Raindropehco- CONGRATS! Each TUESDAY we announce the Artists Picks for the prior weeks challenge. The winner receive a special badge to display on their blog to announce that they were a Hand Stamped Sentiments Artists Pick!!! Each week play along, we love to see your creativity and what's better than sharing our talent with the world?! If you are a named winner simply email me at erin@handstampedstyle.com to get the badge code for your blog. What comes to mind when you hear the word LUAU? Is it hunky tattooed tribal men retrieving a well roasted pig from an underground grill, or is it grass skirts and coconut bras on dancing island girls moving their arms like the ocean waves? Is it the thought of boundless tropical foods, fire torches, and ritual dances or simply the vibrant colors that are endless on a warm black sand beach? Whatever your inspiration we challenge you to take that and create ANYTHING that translates to a LUAU THEME for you. We can't wait to see what you come up with! We are thrilled to share ANOTHER phenomenal guest designer with you this weeks Luau Themed Challenge. 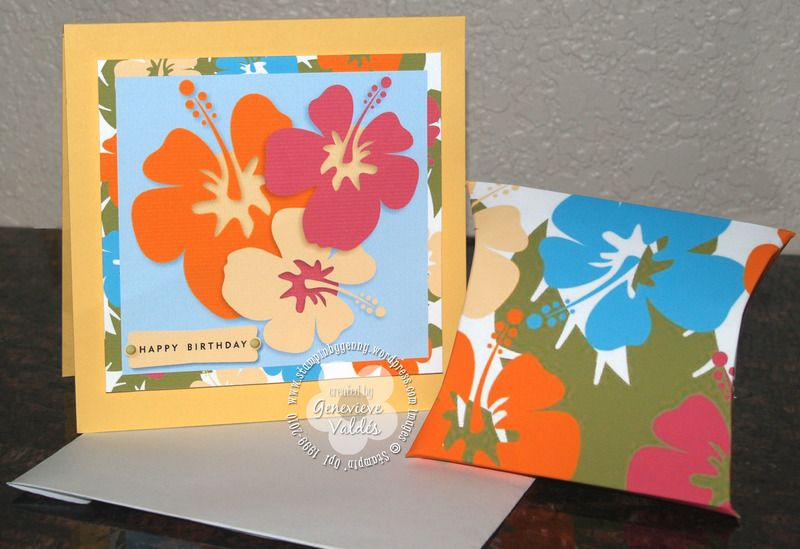 Charlene Driggs has created this FUN and tropical gift set, complete with treats! Charlene obviously has a love of vibrant color, you can check out all the details for all of her projects on her blog PAPER & INK PLAYGROUND. Thanks Charlene for such a wonderful project! TIP for creating a DIRECT LINK: after you have posted your project on your blog simply click on your post title, then copy the URL info listed in your search bar and paste it into the InLinkz below. For this challenge please use KEYWORD HSSTC24 when uploading your project to public galleries. 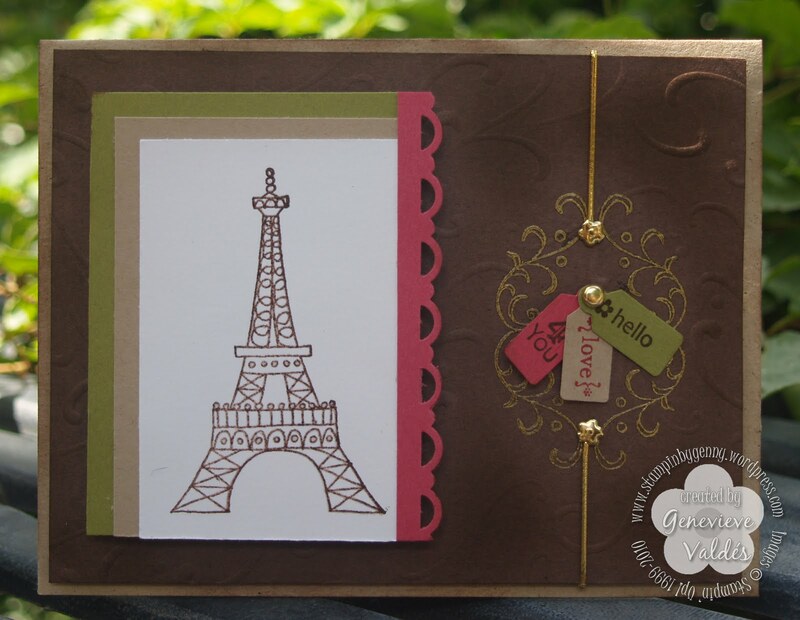 We would also greatly appreciate it if you would kindly note the HSS Challenge and provide a link back to the Hand Stamped Sentiments site in your post. InLinks will close at 12 NOON CST on MONDAY July 19th, InLink will not allow submissions to be added once the time frame has passed. But meet back here on Tuesday, July 20th for a NEW Challenge. Artists' Picks are NOW announced on Tuesdays for the prior weeks challenge, so meet here every TUESDAY to see if you are a winner and to get a jump start on a NEW challenge. HSS Color Splash Challenge #23 Artists Picks!! Each TUESDAY we announce the Artists Picks for the prior weeks challenge. The winners receive a special badge to display on their blog to announce that they were a Hand Stamped Sentiments Artist Pick!!! This week we are comin' at-cha with a fun COLOR SPLASH Challenge. This one should bend your creative mind a bit. We wanted to use some of the returning colors from the old collection. Try and think outside of your "normal" zone with these particular colors. I know I will be challenged, will you? 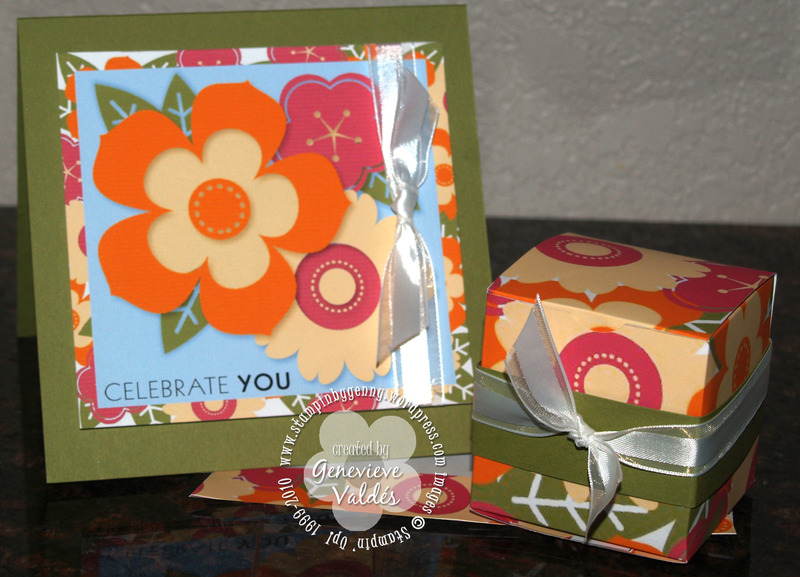 We are glad to introduce another AMAZING guest designer for this weeks Color Splash Challenge. Sarah Newman has created this adorable card to share with us. Sarah has a great eye for detail and has created some fantastic projects. 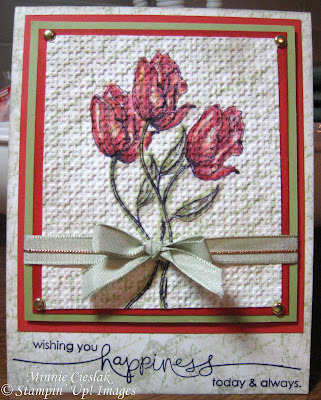 You can see full details of this project on her blog ALL INKED UP. Thanks so much Sarah! For this challenge please use KEYWORD HSSCS23 when uploading your project to public galleries. We would also greatly appreciate it if you would kindly note the HSS Challenge and provide a link back to the Hand Stamped Sentiments site in your post. InLinkz will close at 12 NOON CST on MONDAY, July 12th. InLinkz will not allow submissions to be added once the time frame has passed. But meet back here on Tuesday, July 13th for a NEW challenge. Artists' Picks are always announced on Mondays for the prior weeks challenges, so meet here on July 12th to see if your project was an Artist Pick!!! HSS Technique Challenge #22 Artist Picks!!! We want to THANK all of those who visited out Design Team's blog to enter for the drawings this week and we also want to congratulate this weeks Artist Picks for the Technique Challenge #22- here's a great big CONGRATS!!!!! Each Monday we announce the Artist Pick from the prior weeks challenge. The winners receive a special badge to display on their blog to announce that they are a HAND STAMPED SENTIMENTS Artist Pick! Each week play along, tomorrow we have a COLOR SPLASH Challenge that should really put you to the test. Cant wait to see you then!